Get Started on the Cozy Mystery Series for 99c! Author Zanna MacKenzie lives in the UK (Derbyshire/ Leicestershire border) with her husband, 4 dogs, a vegetable patch that's home to far too many weeds and an ever expanding library of books waiting to be read. Being a freelance writer and editor of business publications is her 'day job' but, at every opportunity, she can be found scribbling down notes on scenes for whatever novel she's working on. She loves it when the characters in her novels take on minds of their own and start deviating from the original plot. She also enjoys walking the dogs, gardening and reading! BONUS!! Get On Trial - an Amber Reed Mystery for Free! Read more: Get Started on the Cozy Mystery Series for 99c! Explore a Small Town's World in this Texas Mystery Series! 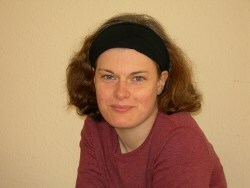 You can connect with her at http://www.beckiwillis.com/ and Facebook. Here's what readers are saying about this popular new amateur sleuth series that delivers clean romance, humor, and true-to-life characters in a small town setting, without sacrificing action-packed excitement and suspense. "This is one of my new favorite authors." "I really love this series! Stipulations and Complications had the right amount of everything: mystery, romance, comedy and of course, a dead body." "Another hoorah for Becki Willis! I loved the setting of rural Texas and the characters. They were well developed and the story line kept me guessing until the last page. I look forward to learning more about the main characters past and future in the Sisters!" "Once again the characters of The Sisters, Texas have won my heart. When the Stars Fall was even better than Chicken Scratch! I hope this series is intended to be a long one." Read more: Explore a Small Town's World in this Texas Mystery Series! Read more: Start this Thrilling Cozy Mystery Series from Nell Goddin for FREE! QUIRKY, LOW-KEY ISLAND MYSTERIES & ADVENTURES! Garrett Dennis lives in upstate New York, where he and his wife serve as housekeeping staff for two rather spoiled dogs. He has graduate degrees in biology and computer science. After a career that ranged from testing experimental drugs (legal ones, and not on himself!) to developing computer operating system software, he decided to retire from the real world and try his hand at writing fiction. Garrett lived in coastal North Carolina for a while some years back, and the current focus of his writing is a place that's very special to him, the Outer Banks region of North Carolina, which he still visits as often as possible. There are now three books in his Storm Ketchum Adventures series of quirky Outer Banks suspense novels, plus four short Storm Ketchum Tales. If you're pining for John D. MacDonald and Travis McGee, Storm 'Ketch' Ketchum might be your guy. Like Hemingway's Old Man, he reveres his island and the sea; but unlike the Old Man, he doesn't fish - and despite his solitary nature, he and his boatyard friends find themselves embroiled in coastal intrigue more often than not. If you read the Hardy Boys series as a kid; if you're a fan of Outer Banks lore and the writings of David Stick, Judge Charles Whedbee, or Ben Dixon MacNeill; or if an ecological and literary juxtaposition of the likes of Randy Wayne White, Barbara Kingsolver, and Carl Hiaasen floats your boat, you'll enjoy the Storm Ketchum Adventures! 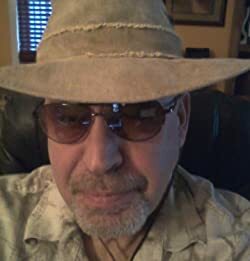 Keep a weather eye out for the next entry, and connect with Garrett at www.GarrettDennis.com or on Facebook & Twitter. Get any one of these books for free by signing up to Dennis's newsletter! The e-book version of the first short Storm Ketchum Tale, AN OLDE CHRISTMAS CAROL, is always FREE everywhere! Read more: QUIRKY, LOW-KEY ISLAND MYSTERIES & ADVENTURES! Read more: Award-Winning Cozy Mysteries from Nancy G. West! Start a Fun "Cat Detective" Series for FREE! Rebecca Barrett writes historical fiction, post-apocalyptic fiction (writing as Campbell O'Neal), children's stories, and short stories of life in the South. An avid reader all her life and a product of “front porch” socializing, she became a story-teller at an early age. Visit the author's website to enjoy some of her short stories. Read more: Start a Fun "Cat Detective" Series for FREE! Fast, Fun, Hilarious Cozy Mysteries by Sam Cheever! So, why don't you take the plunge? Indulge that adventurous spirit. Treat yourself to a little harmless fun. You've certainly earned the right. Read more: Fast, Fun, Hilarious Cozy Mysteries by Sam Cheever! Start a Sassy Cozy Mystery Series! A ninth-generation Texan, Jinx has lived and worked all over the globe, and much like the protagonist in her Hetta Coffey mystery series, she's a woman with a yacht and not afraid to use it! Want to know when I have new or free book? Go to http://jinxschwartz.com and sign up for my newsletter and be entered to win one of three copies of whichever book you like from the series! TODAY AND TOMORROW - Just Pardon my French is FREE on AMAZON! Read more: Start a Sassy Cozy Mystery Series! Giggles Galore in Amy Vansant's Pineapple Port Mysteries - Cozies with a Bit of Bite! Amy Vansant specializes in fun, comedic, clean reads that have readers keeping their spouses awake at night with their giggling! The Pineapple Port Mystery Series includes all the charm of the cozies you're used to, with an extra wallop of thrills. Amy is a nerd and Labradoodle mommy who works at home with her goofy husband. She loves interacting with fans when the dog isn't laying on top of her,so stop by her site or social media and say hi! Read more: Giggles Galore in Amy Vansant's Pineapple Port Mysteries - Cozies with a Bit of Bite! 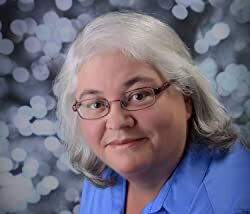 Meet Linda Crowder and the Jake & Emma Mysteries! "Justice for Katie" took top medalist honors in Mysteries in the 2015 New Apple Literary Services Award for Excellence in Independent Publishing. Read more: Meet Linda Crowder and the Jake & Emma Mysteries! Cozy Mysteries With a True Italian Twist! Read more: Cozy Mysteries With a True Italian Twist! Meet CeeCee James and the Oceanside Mysteries! Writing has been a life long passion. Her first works were published in middle school and she won several short story and poetry competitions through out her life. 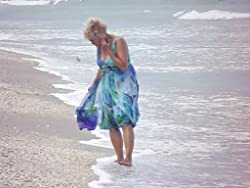 Her published works include the Angel Lake Cozy Mystery series, nonfiction Ghost No More, and Wrecked and Yours, a sweet romance series.She loves writing about love, humanity's struggles and the celebration of life. Sometimes there is beauty even in the chaos of a messy moment. For her, writing is about taking time to savor those moments. Read more: Meet CeeCee James and the Oceanside Mysteries! Meet Diane Weiner and the Susan Wiles Schoolhouse Cozy Mystery Series! 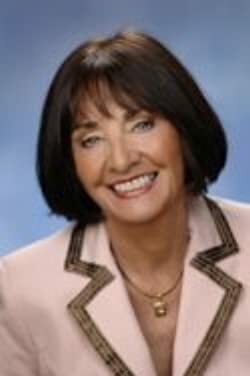 Diane Weiner is a veteran public school teacher and mother of four children. She has enjoyed reading for as long as she can remember. She has fond memories of reading Nancy Drew and Mary Higgins Clark on snowy weekend afternoons in upstate New York and yearned to write books that would bring that kind of enjoyment to her readers. Being an animal lover, she is a vegetarian and shares her home with two adorable cats and a little white dog. In her free time, she enjoys running, attending community theater productions, and spending time with her family (especially going to the mall with her teenage daughter and getting Dairy Queen afterwards). Read more: Meet Diane Weiner and the Susan Wiles Schoolhouse Cozy Mystery Series! Her books' themes range from the humorous and sweet to harder hitting suspense. They are recommended for readers who like to relax and unwind with their books, who enjoy getting to know the characters, and who prefer the tougher side of life implied. To receive three free books, updates about new releases, exclusive promotions, and other insider information, sign up for the Cozy Mysteries Insider mailing list! Meet Sherri Bryan and the Charlotte Denver Cozy Mystery Series! When I was growing up, I carried a book everywhere I went. Enid Blyton and Roald Dahl were my favourites. Long story short, years later and keen for a new adventure, I moved to Spain to open a marina-front café bar, which was the inspiration for the series. It was fabulous place to work, overlooking the sea and the boats, but with no experience of running a café, and very limited Spanish, it was the most challenging, most terrifying, but absolutely the most brilliant thing I've ever done...and the hardest I've ever worked! When I’m not scribbling down ideas for new stories, or tapping away on my laptop, you’ll most likely find me with my nose in a book (I read everything from mysteries and romance to biographies and cookbooks), rustling up something experimental in the kitchen, or out with my gorgeous rescue dog, George, who has me well and truly wrapped around his little paw. Sherri's first book in the series, 'Tapas, Carrot Cake and a Corpse', is free to download for Kindle at mybook.to/CharlotteDenver1 or for iBooks, Nook and Kobo at https://books2read.com/u/319E73. If you'd like to take advantage of the discounted 99c/99p launch prices AND get early notification of new releases, launch day discounts and other book-related newsplease sign up to Sherri's readers' list at http://www.sherribryan.com! Read more: Meet Sherri Bryan and the Charlotte Denver Cozy Mystery Series! Meet Libby Kirsch and the Stella Reynolds Mysteries! 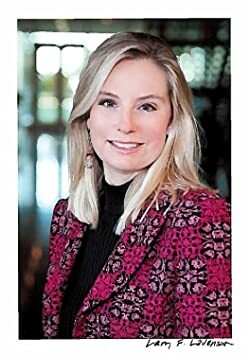 Libby Kirsch is an Emmy award winning journalist, with over ten years experience working as a news anchor and reporter. She draws on her rich history of making embarrassing mistakes on live TV, and is happy to finally indulge her creative writing side, instead of always having to stick to the facts. She is also happy to not wake up at 2:30am to anchor the morning news anymore--there's simply not enough coffee in the world for that shift! Though she is from Columbus, Ohio, Libby lives with her husband, children, and Sam the dog in Ann Arbor, Michigan. Sign up for her mailing list and learn more about the books at libbykirschbooks.com. Read more: Meet Libby Kirsch and the Stella Reynolds Mysteries! Meet Anna Celeste Burke and the Georgie Shaw Mysteries! An award-winning and USA Today Best-selling author, Anna enjoys snooping into life's mysteries with fun, fiction, & food—California style! 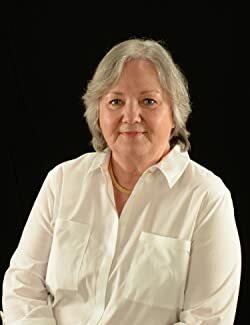 Her books include the Jessica Huntington Desert Cities Mystery series set in the Coachella Valley near Palm Springs, the Corsario Cove Cozy Mystery series set on California’s Central Coast, and The Georgie Shaw Cozy Mystery series set in Orange County, California--the OC. I'd love to have you meet Georgie Shaw, Detective Jack Wheeler, Miles, and Ella. This series is set against the backdrop of Marvelous Marley World, an entertainment empire built on the success of a cartoon cat. The idea of Marvelous Marley World and some of what goes on there is loosely based on my experience as a chef at Walt Disney World. No murders while I "worked for the mouse" at the "mouse factory" as we referred to the "happiest place on earth," but there was plenty of mayhem. Lots of interesting, quirky characters, too. Like Disney, Marvelous Marley World isn't always so marvelous! Always intriguing and a unique setting for a cozy mystery series. I hope you'll enjoy the fun, food, cats, and second chance romance that come with the murder, mayhem, and mystery in this series. Like all the books in this series, the box set is included in Kindle Unlimited so it will be free to KU subscribers! Read more: Meet Anna Celeste Burke and the Georgie Shaw Mysteries! Meet Colleen Helme and the wildly entertaining Shelby Nichols Adventure Series! 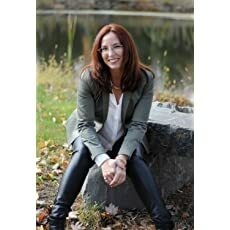 Colleen Helme is the author of the best-selling Shelby Nichols Adventure Series, a highly humorous series about Shelby Nichols, a woman with the ability to read minds. When asked if reading minds is something Colleen wishes she could do she says, "No way! It gets Shelby into so much trouble that I would never want that ability." Known for her laugh since she was a kid, Colleen has always tried to find the humor in every situation and continues to enjoy writing about Shelby's adventures. Besides writing, she loves reading, biking, hiking, and playing board and card games with family and friends. 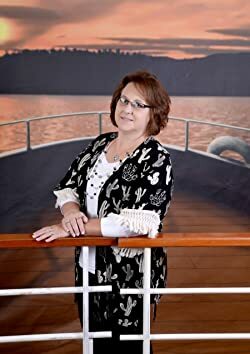 She loves to connect with readers and admits that fans of the series keep her writing. Read more: Meet Colleen Helme and the wildly entertaining Shelby Nichols Adventure Series! 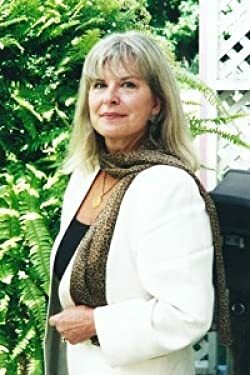 Dianne Harman has had the sort of life that makes a great author! 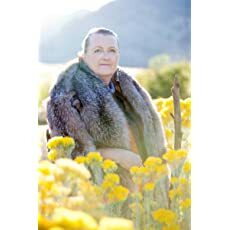 She owned a national antique and art appraisal business for many years, left that industry, and opened two yoga centers where she taught and certified yoga instructors. 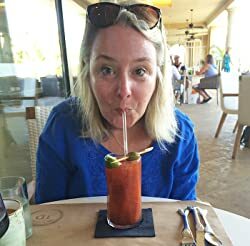 She's traveled extensively throughout the world and loves nothing more than cooking, playing backgammon with her husband, Tom, and throwing the ball for their dog, Kelly. Book One of the Cedar Bay Cozy Mystery Series was voted by readers as One of the Top 30 Best Self-Published Books of 2014! Get the first book on AUDIO! Award-winning Linnea Tanner weaves Celtic tales of love, magic, adventure, betrayal and intrigue into historical fiction set in Ancient Rome and Britannia. Since childhood, she has passionately read about ancient civilizations and mythology which held women in higher esteem. Of particular interest are the enigmatic Celts who were reputed as fierce warriors and mystical Druids. Depending on the time of day and season of the year, you will find her exploring and researching ancient and medieval history, mythology and archaeology to support her writing. As the author of the APOLLO'S RAVEN series, she has extensively researched and traveled to sites described within each book. A native of Colorado, Linnea attended the University of Colorado and earned both her bachelor's and master's degrees in chemistry. She lives in Windsor with her husband and has two children and six grandchildren. The Curse of Clansmen and Kings is envisioned to be a 5-book series based on the legacy of Mark Antony and Cleopatra, but with a Celtic Twist. 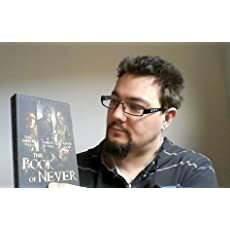 The epic tale weaves forbidden love, mythological adventure, and political intrigue into the backdrop of Ancient Rome and Britannia from 24 AD to 40 AD. The tale follows star-crossed lovers—Catrin, a Druid warrior queen, and Marcellus, the great-grandson of Mark Antony. Both of them are destined to rise in power in each of their respective countries, but their all-encompassing love is thwarted by outside dark forces and curses looming over their families and clansmen. Readers who subscribe to my newsletter at https://www.linneatanner.com/newsletter/ will receive a free sample of Dagger’s Destiny and have a chance to win free books in various formats and to receive advance copies of future books in the series. 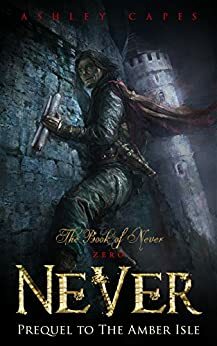 Never: (Prequel to The Amber Isle) (Book of Never: 0) FREE!